Bake your way through the much-loved BBC1 series with this beautiful, fully photographic cookbook of 120 original recipes, including those from both the judges and the bakers. This book is for every baker - whether you want to whip up a quick batch of easy biscuits at the very last minute or you want to spend your time making a breathtaking showstopper, there are recipes and decoration options for creating both. Using straightforward, easy-to-follow techniques there are reliable recipes for biscuits, traybakes, bread, large and small cakes, sweet pastry and patisserie, savoury pastry, puddings and desserts. Each chapter transports you on set and showcases the best recipes from the challenges including Mary and Paul's Signature Bakes, Technical Challenges and Showstoppers, plus the best bakers' recipes from the show. There are step-by-step photographs to help guide you through the more complicated techniques and stunning photography throughout, making this the perfect gift for all bakers and Bake Off fans. 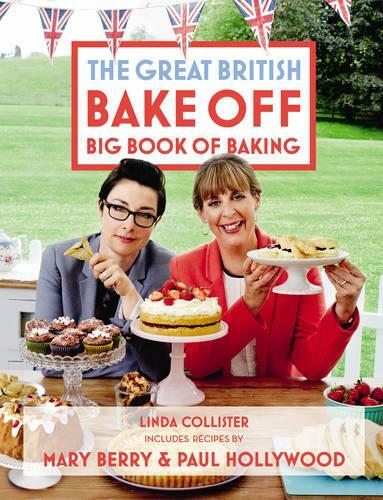 I bought this for sister-in-law for a Christmas present as I know that she loves GBBO. I don't know whether she has read the book yet but I know she was very happy when she opened it on Christmas Day!